Finding an employee is a crucial task that helps in company’s success. One wrong selection and the company can face losing so much revenue. Therefore, it becomes very important to select the best possible candidates for top-level management. Often, in-hour human resource department might not be skilled enough to hire someone for that level,and you need someone with expertise and experience. In such circumstances, hiring an offshore recruiter is the best decision any company can make. You need to look at more things than just the candidate’s qualification and experience. An HR manager might not be able to look past these things since they have many other things to do other than recruiting. An experienced offshore recruiter will do a background check of the candidate, their previous achievements and the reason for leaving for the last job, work ethic, and personality. Doing this avoids all possibilities of making a wrong recruit. In today’s competitive world, maintaining a strong brand in the market is essential for every employer. That is why it has become important to select good candidates who contribute to the company and create a positive brand name in the market. A strong employment brand attracts talented candidates, which again takes your company to greater heights. An offshore recruiter guarantees to increase employment brand value. There are higher chances of an in-house HR team to hire a wrong candidate, and you don’t want to take that risk. A company has many departments, who carry on recruitment processes on their own. Job seekers don’t know what the company expects from there. On the other than, an experienced offshore recruiter has a streamlined recruit-to-hire process, which is unique to them. It easy for job seekers to prepare, while recruiters find it easier to shortlist candidates using a fixed process. Rapidly growing companies can outsource help and focus on core activities like funding and launching products and services. Most offshore recruiters have had years of experience working in recruitment firms. They can apply their knowledge and experience in hiring for your business. The experience gives them better judging skills, which is a great input for rapidly growing companies, especially startups. Offshore recruiters have expertise in particular fields, while a recruitment firm undertakes recruitment of several different professions. With their expertise, you can only expect them to find you the most talented candidates. 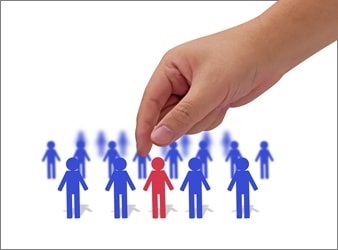 An offshore recruiter only shortlists candidate and the company get to select the employee. A recruitment company carries out the entire process, which is costlier and consumes more time. Setting up your own human resource department is not always financially feasible since you have to give salaries to your employees even when there isn’t any recruit. Hiring an offshore recruiter can reduce as much as 50 percent of recruitment costs and is a time saver as well. These are just some of the many reasons why companies are readily hiring offshore recruiters to hire candidates.